The big bang, black holes, space travel and life in other galaxies - this is the stuff of science fiction and the subject of much current speculation and research on the part of astronomers and cosmologists. Back in the Stone Age, men struggled to build calendars using 30-foot high rocks, while the Phoenicians, Moors and Chinese learnt to map the heavens in order to move around the earth and seas. This book shows how man's chronological needs pulled scientific developments along and helped generate the geometrical and mathematical principles in operation today. Astronomy is not only a field of scientific research capable of the most startling discoveries; it is the oldest of the exact sciences. It is fitting then that in this lucid, elegant and stimulating book Professor north devotes particular attention to both the earliest and the most recent developments. Stressing the indispensability of an understanding of the heavens for the elementary calendrical calculations vital in all societies, professor North demonstrates how surveying the skies helped generate the geometrical and mathemetical principles crucial to early science in the Middle East and Greece, which in turn continued to underpin advances in astronomy right through to the revolutions in thinking achieved by Copernicus, Kepler and Newton. 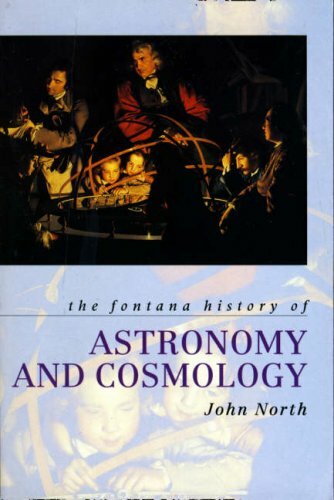 Astronomy, North shows, has a history marked by continuity. It offers a powerful illustration of concentrated, progressive scientific endeavor and yet it has also been a complicated and many-sided enterprise, integrating metaphysical, religious and cosmological speculations with the down-to-earth practical skills needed, for example, for navigation and timekeeping. In assessing the social position of astronomers, Professor North deftly explores the tensions between these different roles.